In our modern production facility, we produce more styles and variations of lightweight rubber belting than any other belting manufacturer. 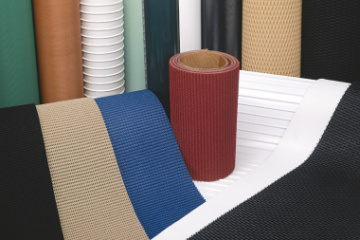 With over 2,100 single-ply and multi-ply belting constructions, we provide durable belting solutions for almost every industry, and have done so for over 60 years. 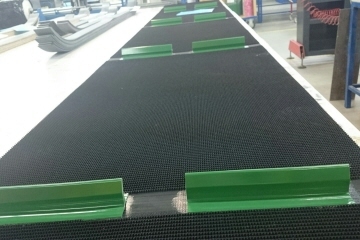 Lightweight conveyor belts in rubber elastomer, EPDM and silicone. Produced and delivered efficiently and effectively. Ammeraal Beltech utilizes a wide variety of raw materials in manufacturing our lightweight rubber belting products. An important fabrication job is making the belt endless. Belts can be made endless by means of various splicing or lacing methods. 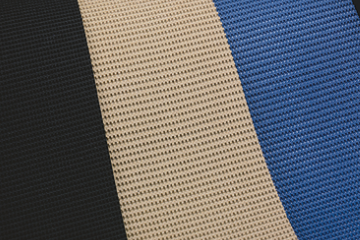 With our wide range of coatings, fabrics and surface impressions, we have the product you need. If you can’t find it here, contact us.